Second only to “where’s the best BBQ in Memphis?” is the debate over which of the city’s chicken wings reign supreme. With the combination of wing joints and sauce options near infinitum, it’s a hard question to answer, but here are the eight best places to start your own personal poultry quest. Ellwood’s specializes in smoked meats, and they have a serious fan base thanks to their BBQ, fish tacos, pizzas, hot dogs, sandwiches, and jerk wings. The whole wings are marinated for 24 hours in thyme, garlic, habanero, allspice and oregano. Then they're seasoned with sea salt, paprika, black pepper, white pepper, sugar, and chili powder, and smoked for 3 hours at 225 on pecan logs. 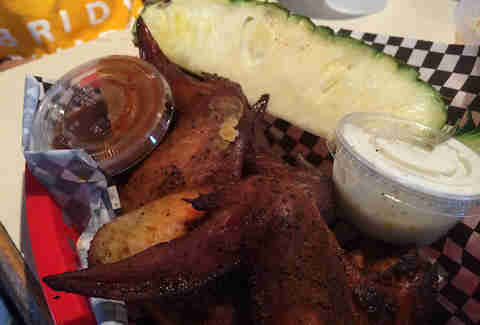 Oh, and Ellwood’s is the only place where you can have your wings with a giant slice of pineapple. Honey gold is the most popular flavor at Ching’s, but it's hard to pass up the challenge of the “suicide” option. 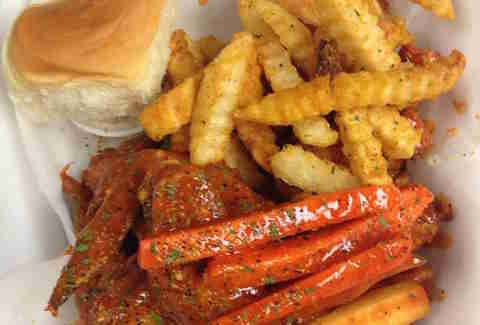 Ching's also has its own special seasoning, found on the seasoned wings and French fries, and while the ingredients that are top secret, there are hints of curry, salt, and parsley. Other unique touches are the option to order a small croissant rather than a roll, the marinated carrots and celery that come on the side, and the Orange Mound Punch or G Street Punch -- fruit drinks amped up with extra sugar that form a perfectly sweet counterbalance to the salty wings. It kind of makes sense that one of our best BBQ joints would also have some of the best wings. 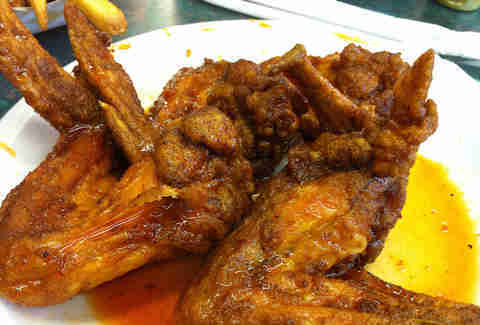 Central’s wings have a nice, smoky taste, and the meat easily falls off the bone. Raw wings are marinated in Louisiana hot sauce for one to two days before being smoked, chilled, and flash fried up to temp. The last step is to season them (wet, naked, jerked, dry spice, honey gold, or sweet heat). 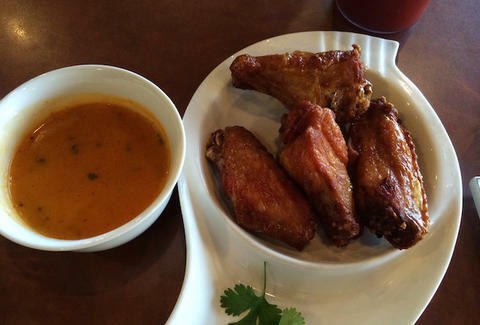 Some customers like to order the wings “muddy,” which means they come with a wet sauce and a dry rub. Those customers are friggin' smart. Known for its super friendly staff and amazing chicken, Uncle Lou’s is definitely worth the drive. The sweet and spicy love sauce -- hot or mild -- is a perfect balance of flavor. There’s no fire to put out, so you can keep on eating wing after wing and it is great for dipping fries in. Don’t forget to add a honey-dipped biscuit to your order! 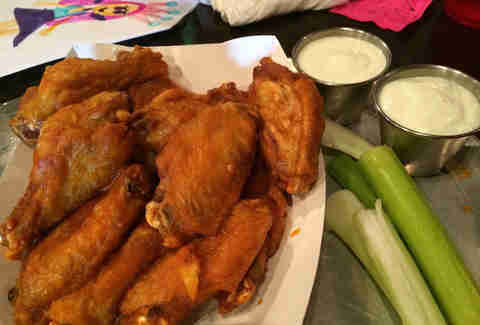 At Best Wings they certainly aim to please, letting customers choose to have their giant whole wings bathed in a number of sauces -- hot, mild, seasoned mild, honey-glazed, honey-glazed mild, barbecue, honey barbecue, lemon pepper, and regular salt and pepper. While mild sauce is the best seller, there are fans of every sauce. Those in the know recommend ordering half lemon pepper and half honey-glazed for the absolute perfect combination of sweet and spicy. 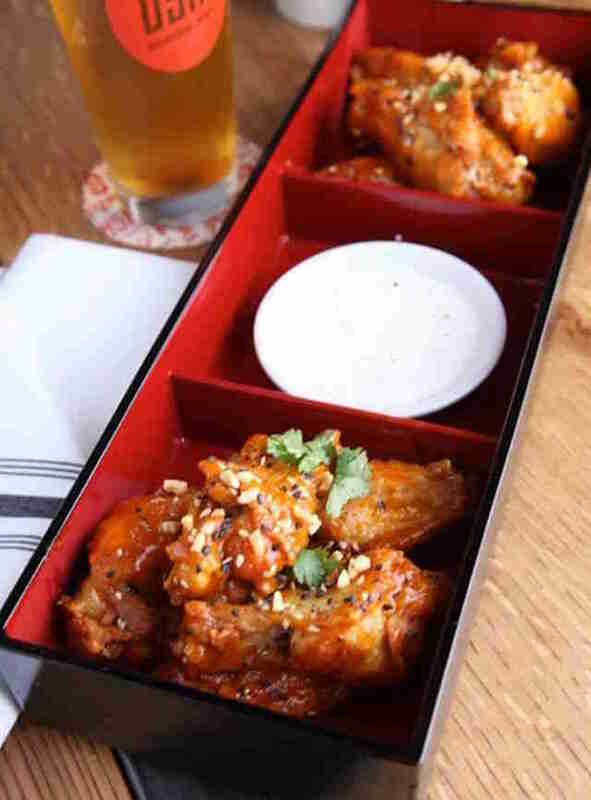 Oshi specializes in burgers and hot dogs, but the Rajun Asian Wings are a must try for wing lovers. Sesame seeds, nuts, and sprinkle of cilantro dress them up nicely. The feta mint dressing is a nice departure from the standard ranch or blue cheese, and serves as the perfect coolant.